Our job is to deliver power safely and reliably. 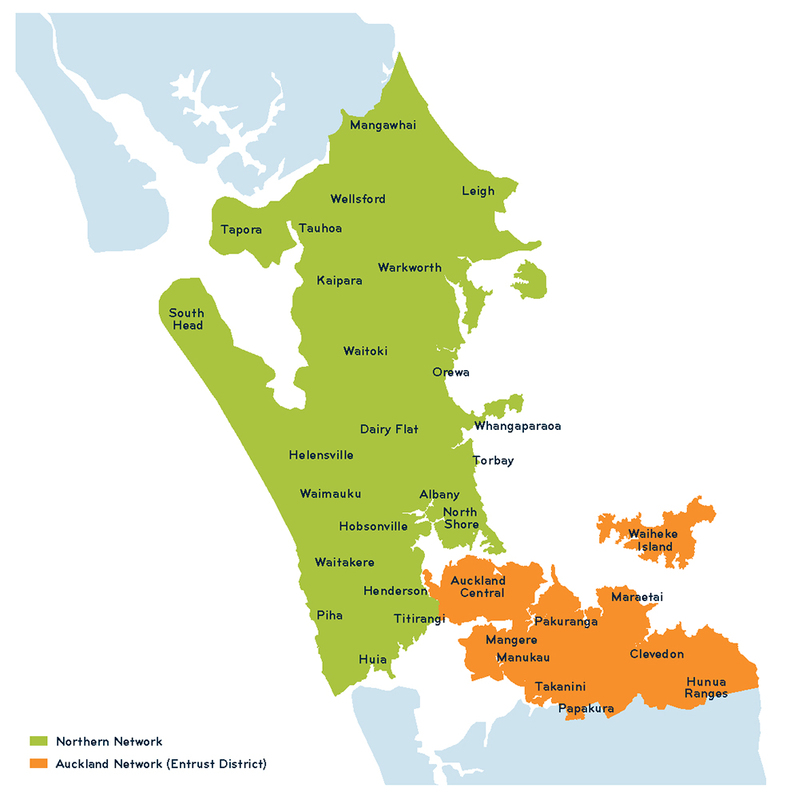 Our network extends from just north of Wellsford to Papakura and Manukau in the south. We've made it easy to get connected to our network. Entrust (formerly the Auckland Energy Consumer Trust - AECT) is our majority shareholder and owns 75.4% of Vector. It holds and manages its majority shareholding on behalf of its beneficiaries (electricity customers in the urban parts of the former Auckland Electric Power Board areas of Auckland City, Manukau City and Papakura District). Entrust pays an annual dividend to its beneficiaries from the dividends it receives as a shareholder. For more information about Entrust and the annual dividend visit their website. You can find out more information about network outages on our outages page.